What is art history and where is it going? Is there a difference between art and craft? When we think of maps we often assume they are scientifically objective tools that help us get from here to there, that they are telling us truths about the world in which we live. However, maps are subjective, and like any form of art and design they have stories to tell and reveal a lot about the times in which they were produced. The most successful maps are selective, leaving in information that is important to the agenda of the cartographer and excluding the chaos of other details that are irrelevant to the narrative. There is a beautiful economy of design to a good map, and many maps can help us decode the belief systems of its audience. 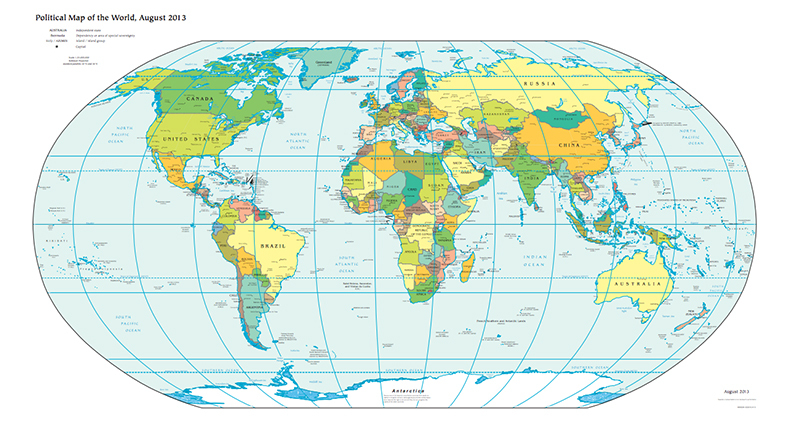 In the 21st century, particularly if one lives in the Northern Hemisphere, we assume maps to be oriented north up. However, this is a recent convention that is not consistent with maps produced up through the sixteenth century when Europe became the center of map production. Europe became a global power during the age of exploration and put itself at the top of the world. The most important part of a map for the intended user tends to be at the top, and in the Middle Ages, this often reflected religious rather than political points of view. Consider this medieval “T-O” map based on the 7th century writings of Isidore of Seville, the Archbishop of Seville, Spain. According to the Bible, after the great flood had destroyed all life not preserved on the Ark, the three sons of Noah (Shem, Japeth, and Ham), were sent off to the known continents to repopulate and rule the earth. Shem went to Asia, Ham to Africa, and Japeth to Europe. On the map below, the “T” is made of the known important bodies of water that separate the continents: Europe and Africa are divided by the vertical line of the Mediterranean; and the horizontal line represents the Don, the Black Sea, the Aegean Sea and the Nile. The entire world is surrounded by the “O” of the great ocean. In this type of map, such as in the Ebstorf Map illustrated below, Jerusalem is typically placed at the center of the world as the birthplace of Christianity and the East (also called the Orient) is at the top, as this was the location of the Garden of Eden and the origin of man. We still use the word “orientation” when we are trying to find our way based on this early European cartographic tradition. 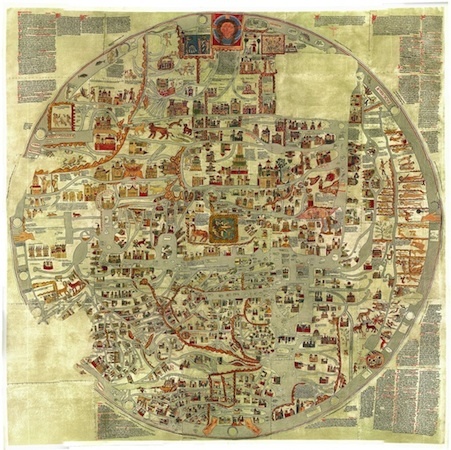 A wonderful example of a medieval map of the world, or mappa mundi, is the Ebstorf Map made in the 13th century (above). In this map, the T-O model is used but here the world has actually become the body of Christ. If you look carefully, you can see his hands extending out to the sides, his feet at the bottom, and his head at the top in the East, next to a small image of the Garden of Eden. Jerusalem is represented as the belly button of the world and in the center of Christ, and the picture is filled with images of stories from the Bible and their relationship to the known world. This map not only reveals the geo-spiritual belief systems of the medieval world but is also a visual encyclopedia of Christian narratives. While medieval Christians were placing east at the top, early Islamic cartographers spun the world to a south orientation. Five times a day a faithful Muslim is required to pray facing Mecca. Intricate and beautiful instruments called astrolabes were adapted from the Persians and modified by Muslims to help determine not only the time of prayer, but also the direction of Mecca from one’s current location. 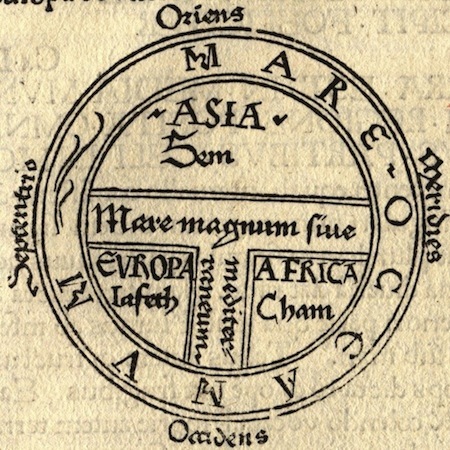 In a map by the influential Arabic cartographer Al-Idrisi, the world again reflects a circle in a T-O model, but the world is represented with south at the top, and Mecca, (in what is now Saudi Arabia), is at the center of the world. The world is represented as a circle surrounded by ocean. The peninsulas of Spain and Italy are in the lower right, and in Africa the Mountains of the Moon are shown as the source of the Nile. The Arabian Sea is in the upper left and the Caspian and Black Seas are also included. 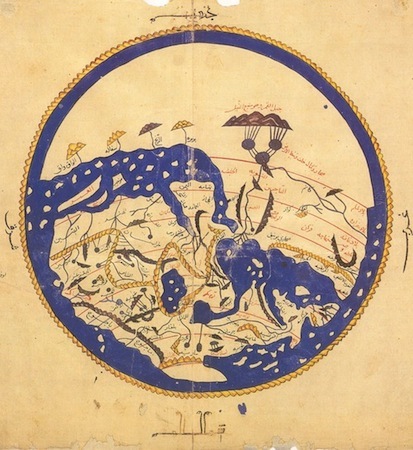 The map is decorated with mountain ranges and rivers, and includes the great wall containing the legendary Gog and Magog in the lower left, a mischievous and dangerous people fenced off from the rest of the world until the end of the world according to Islamic, Christian, and Jewish tradition. 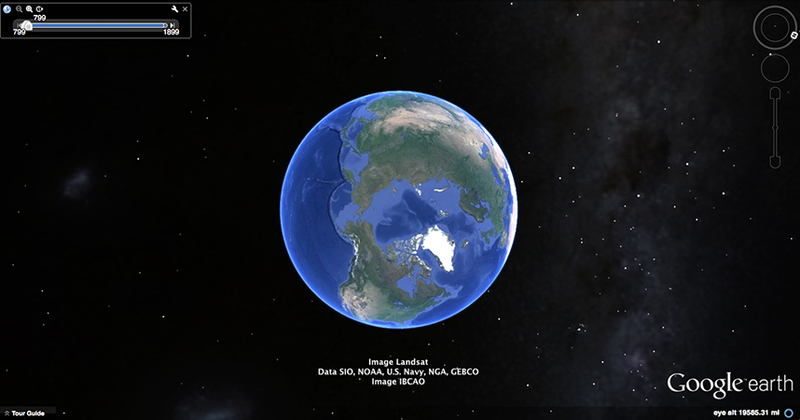 Maps are narratives that tell a story of the time and people of their origin, even the modern Google Earth is a product of subjective choices of visual signs and symbols of our time. These seemingly objective maps, like any other, involve selections of information, human editing, and a visual language legible to the current end user. Next time you are looking at the standard map of the world oriented to the north, consider the 20th century Upside-Down Map of the World published in New Zealand. Tired of being put on maps “down under,” New Zealand and Australia are at the top and the effect is jarring; our sense of orientation all depends on your point of view. Cite this page as: Dr. Christina Connett, "What maps tell us," in Smarthistory, August 8, 2015, accessed April 22, 2019, https://smarthistory.org/what-maps-tell-us/.